A couple of weekends ago, I went up to Germany to do a little hiking. Unfortunately it rained all weekend so I didnt get to go on my hikes. Talk about disappointing! So instead of spending the weekend in the great outdoors, I spent it touring some of the most beautiful castles I have ever seen. King Ludwig II of Bavaria has recently become one of my favorite historical figures. This guy was a royal mess. He ruled the German state of Bavaria from 1864-1886 and during that time he became more and more eccentric and withdrawn from the world. 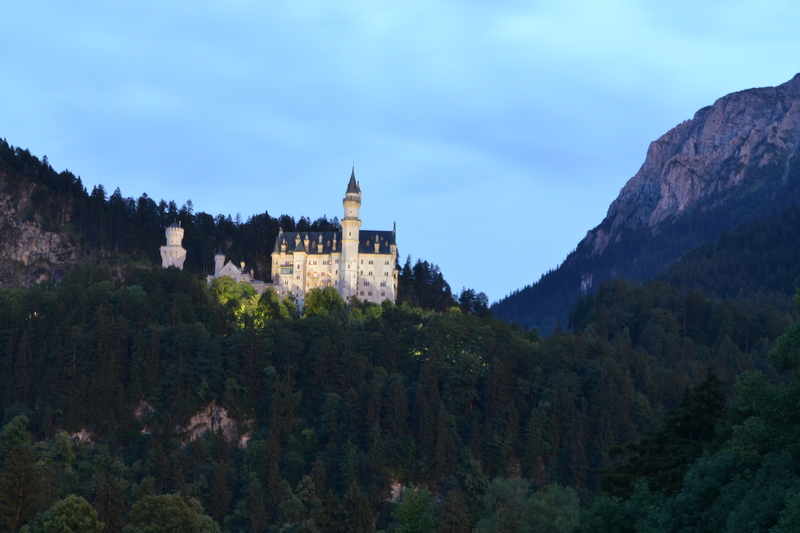 He is sometimes called the fairytale king because of his castles in southern Germany, and his odd behavior. 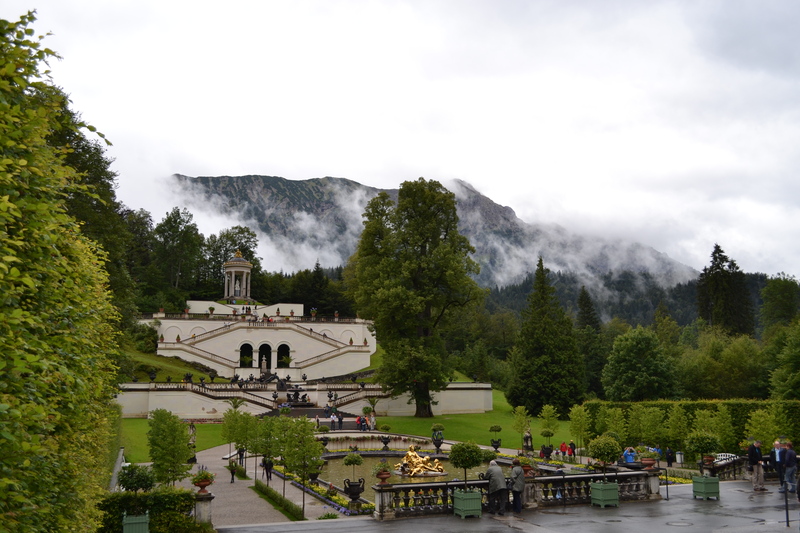 The first castle I visited was Castle Linderhof. 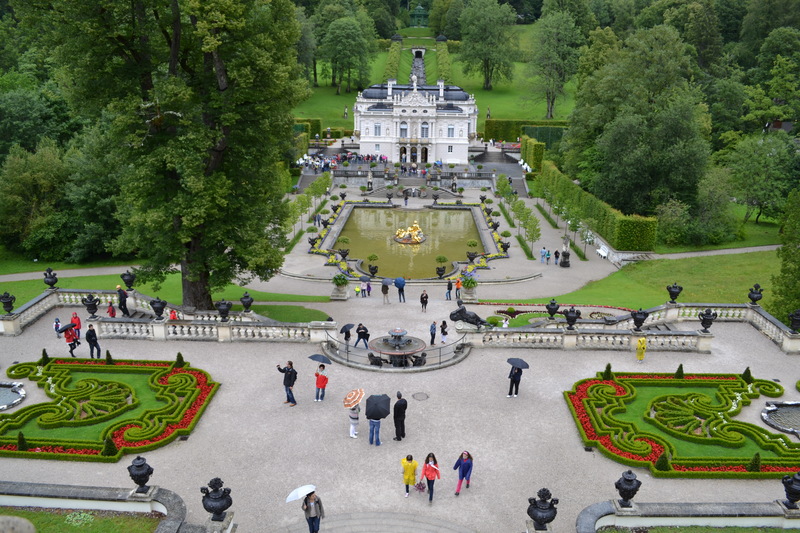 King Ludwig built Linderhof as a miniature Palace of Versailles. The entire place is done up in the French style, even the portraits on the inside are all of French royalty. Apparently Ludwig admired the absolute monarchy of France, and saw himself as a spiritual successor to Louis XIV of France. My favorite part of Linderhof was the Grotto of Venus. It is a man-made cave, complete with a “open sesame” style stone door. 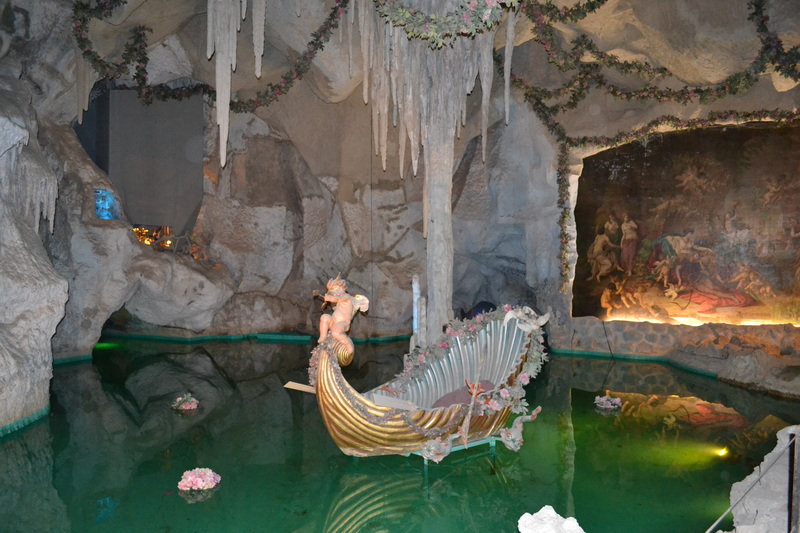 Once inside the grotto, there are sculpted stalactites and stalagmites and a seashell boat for Ludwig to be rowed around in. The entire castle seemed like it was built to be a complete retreat from reality. While King Ludwig was involved in governing the country, his eccentric behavior alienated him from his government, and his extravagant spending seriously pissed them off. Eventually, the government, and even members of Ludwig’s own family started to consider him insane and looked for ways to get him off the throne. King Ludwig was declared insane (by doctors that had never actually evaluated him in person) and was arrested at Neuschawanstein Castle. 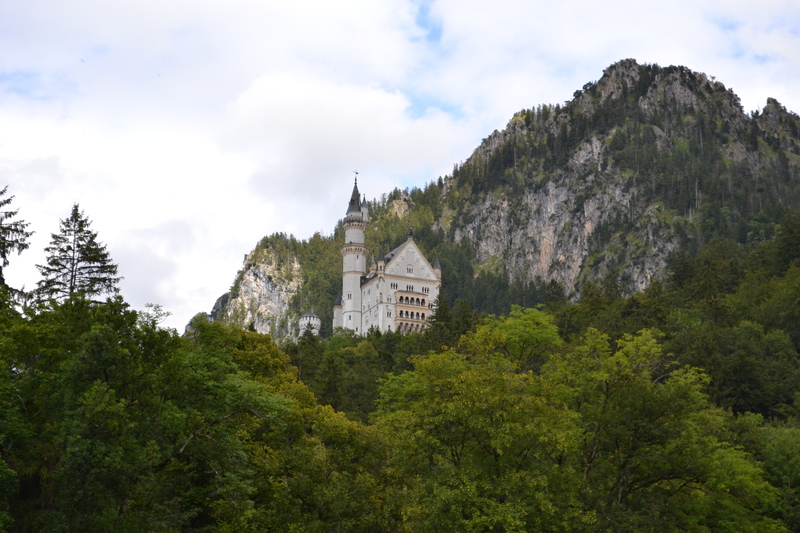 If this castle looks familiar thats because it was the inspiration for the Disney Castle! 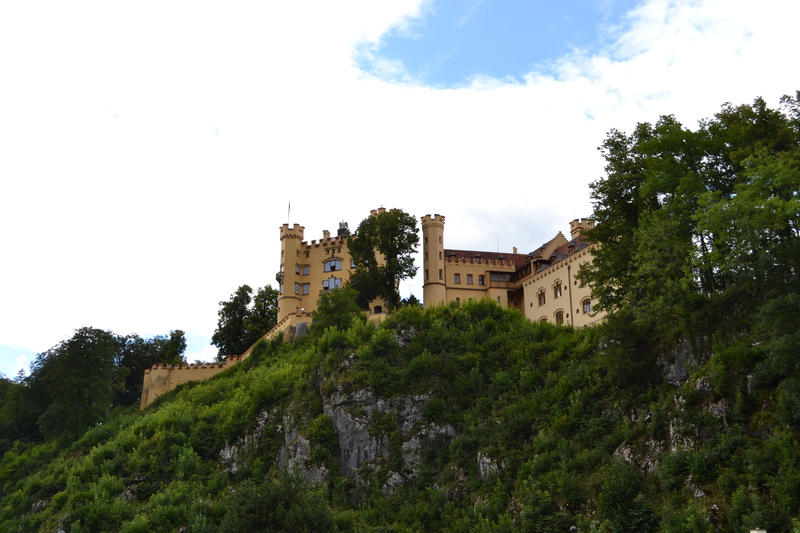 King Ludwig built this castle 15 minutes from his childhood home of Hohenschwangau Castle. Because the castle was not yet completed, Ludwig didnt spend much time here, but it is where he spent his last moments as King of Bavaria. After he was declared insane and arrested he died (under very suspicious circumstances) the very next day. 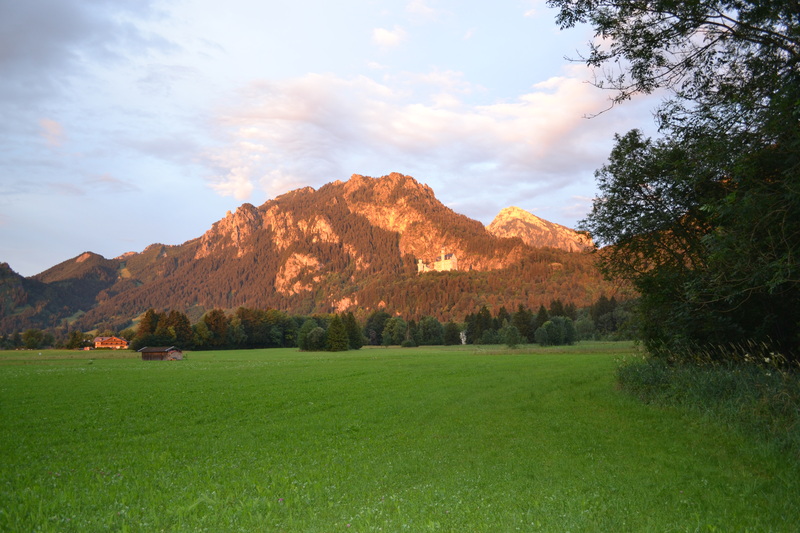 You can see how close the casltes of Neuschwanstein and Hohenschwangau are to each other. 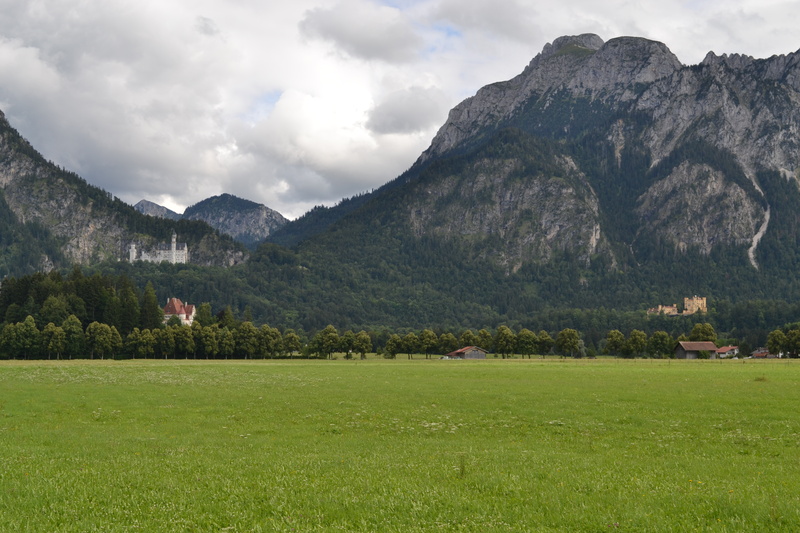 Hohenschwangau is the yellow castle on the right and Neuschwanstein is on the left. 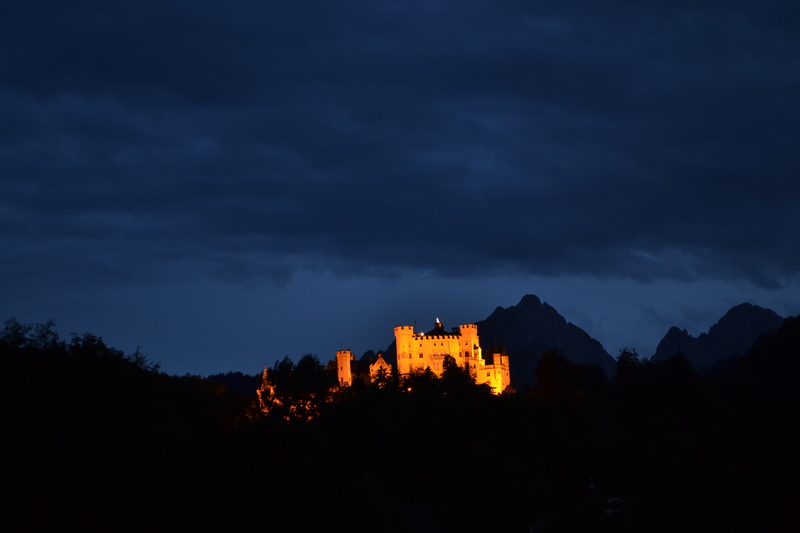 This entry was posted in Uncategorized and tagged Bavaria, Castles, Germany, Travel. Bookmark the permalink. well now Erica, you were only about a 4 to 5 hr drive from where I was stationed! I was in Landstuhl, Pirmasens and Kaiserslautern. Northwest of Garmish. Loved the castles. Went to see the burning of the castle in Heidelberg. You are much more versed in the history than I ever was! Aunt Kathy, I have read about the castle in Heidelberg, I am going to have to go check it out!